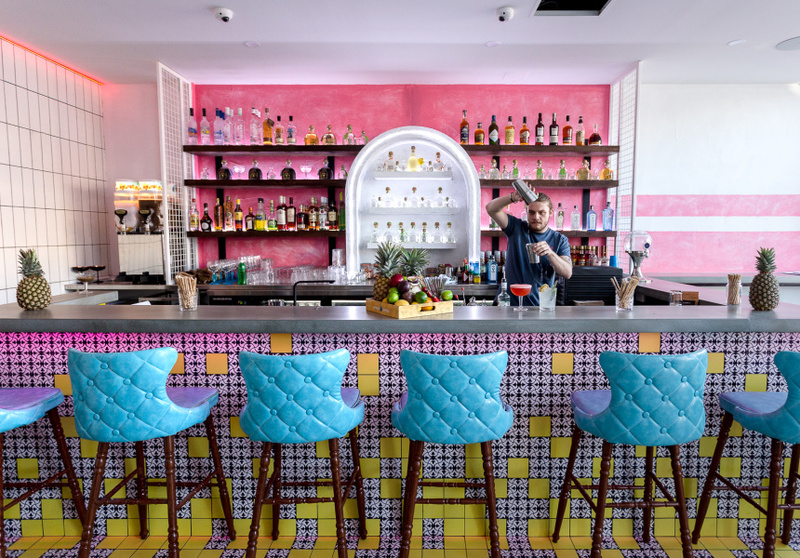 A colourful two-level Mexican-fusion restaurant and bar serving “trash can tacos”, tuna tostadas, Margaritas and Mojitos. 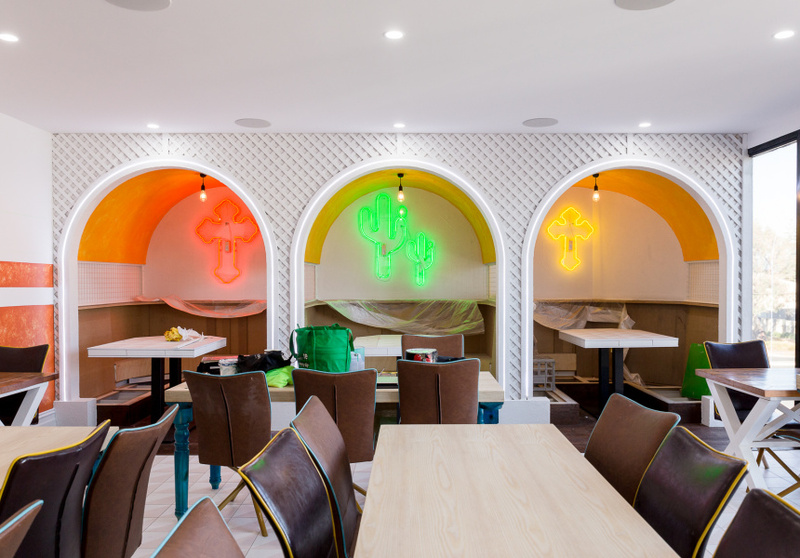 It’s less than 48 hours before opening, and Zac Makins and Huy Taing, co-owners of new Mexican-fusion bar and eatery Mia Margarita, are putting last-minute touches on the space. “We’ve changed the walls so many times,” says Taing. “We’ve painted them something, then painted it again, then re-painted it again,” Makins adds. Aptly, Margaritas are the central feature of the drinks list: expect frozen versions as well as flavours like passionfruit, pineapple and mango. Mojitos, Palomas and sangria are also on offer. The food – all intended for sharing – leans Tex-Mex with the odd tweak; the oceanside location lends itself to an emphasis on seafood. Dishes include seared tuna tostadas, chicken tacos and grilled corn, as well as a whole de-boned barramundi served with mango salsa. 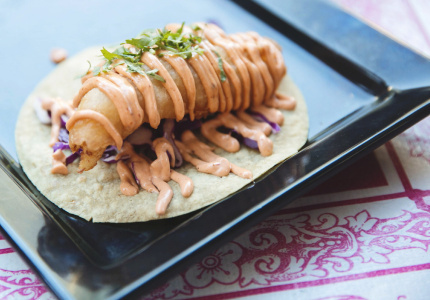 “It gets served with tortillas, so you basically flake it away and chuck it in a tortilla,” says Makins. 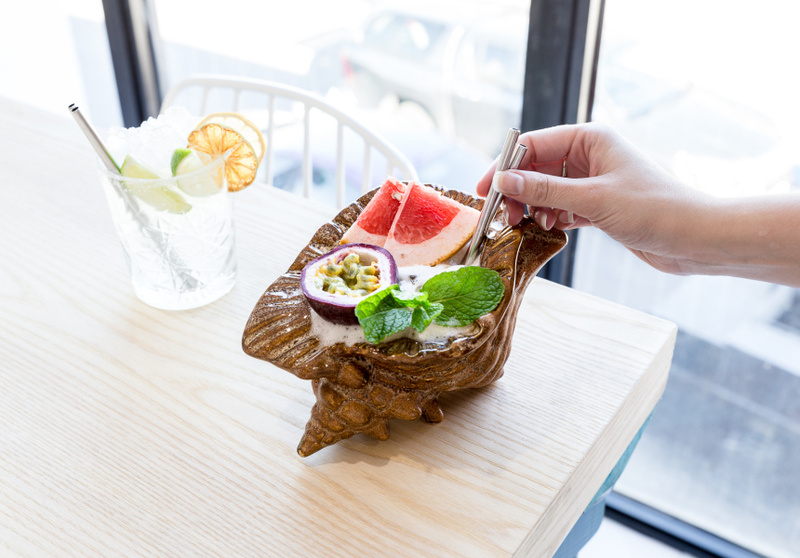 Novelty-style dishes don’t feature as heavily as they do at 50sixone, but they still have a place on Mia Margarita’s menu. Like the “trash can taco” – a stack of nachos served in a can, with pulled pork, fresh avocado salsa and sour cream. Social media is at the forefront of the team’s mind. There are doors that open to a backdrop specifically for selfies, and Spanish audio lessons playing in the bathrooms. The lower level of Mia Margarita houses the taco and tequila bar, with more seating and booths found upstairs. A private dining area for up to 15 people is also available.